Having all the photos and videos you need with you at any given moment is important, therefore transferring photos and videos from a PC to an iPhone can assist you in closing a business deal or showing your friends a funny video you captured on a vacation. In this article we will introduce three methods you can use to easily transfer photos and videos from a PC to an iPhone and we are going to take you through each step of the process. There are a lot of data transfer apps available at the App Store, but each of these apps is pricey, so if you want to save money on transferring your photos and videos from a PC to an iPhone try using one of the following methods. Pros: If you are looking for the most effective way to move a large number of files from a PC to your iPhone than using iTunes is probably the best method, because the transfer speed won't depend on the Internet connection. 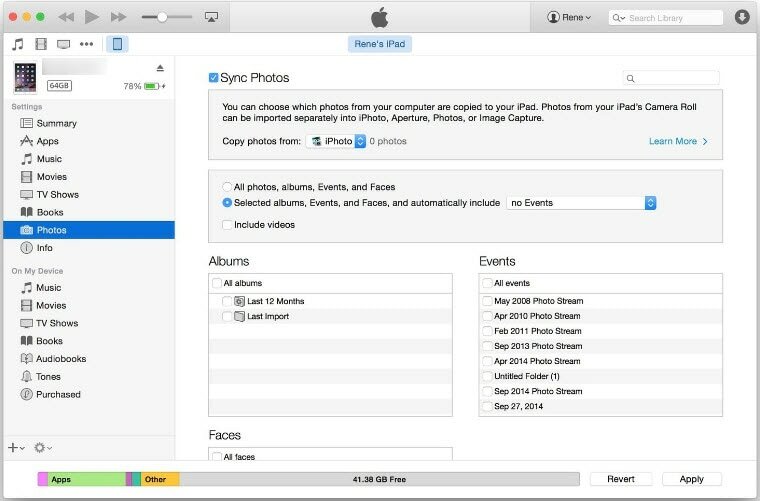 Cons: The syncing process will delete all the files you are transferring from your computer, so you must take the time to store all of the videos and photos you want to move to an iPhone into a new folder in order to avoid losing the data stored on your computer. Preparation: Before you proceed any further you must make sure that the iCloud Photo Library is disabled on your iPhone, because you won't be able to sync your data with iTunes. go to "Settings" on iPhone > get access to "iCloud" and find "Photos" > turn off "iCloud Photo Library." Place your photos in a single folder on your PC, to make the transfer faster and easier, and then connect your iPhone to a PC with a USB cable. Open the iTunes, and locate the mobile device icon in the software. After clicking on the iOS device icon, you will be able to see a menu, and you should tap on the Photos tab. When the new window appears make sure to check the Sync Photos checkbox, and proceed to select the folder you want to copy, in the Copy Photos From drop-down menu. Start transferring your photos or videos by clicking on the Sync button located at the lower end your screen. Pros: Transferring files with the iCloud app doesn't require you to use a USB cable and you don't have to worry about losing files that are stored on your PC. Cons: Using this method to move your photos and videos is slower, and you'll also have to pay attention to the size of the files because the storage space is limited. iCloud.com will not let you upload videos and in case you want to transfer video files from a computer to an iPhone you should download the iCloud for Windows. 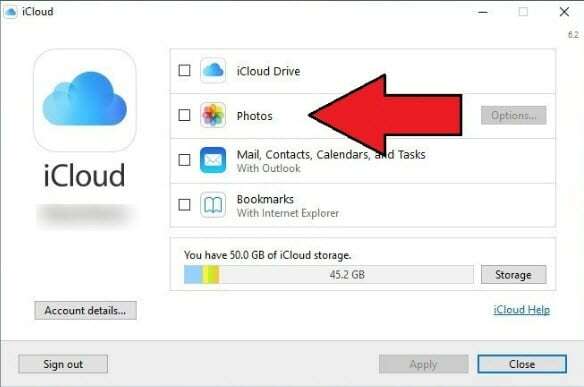 In order to be able to commence the transfer, you must first enable the iCloud Photo Library on your iPhone. Afterwards, click on the Photos icon, and locate the Upload button. In the next step, you should select the files you want to transfer from your hard drive and if you are moving more than just a single file you might want to place them all into a single folder. Keep in mind that you can only transfer one file at the time, so moving a large number of files may take time. You'll be able to see a bar at the bottom of the screen that displays the progress of the transfer. If at any point during the transfer you want to stop it, simply tap on the Stop Upload button. Wait for the upload to finish and start enjoying the files you transferred. Pros: You can transfer an unlimited amount of images for free, and the Google Photos service will automatically sort your pictures or videos in Places, People, Things or Movies categories. If you want, you can use Google Photos to edit photos or create beautiful photo collages. Cons: The transfer process is largely dependent on the quality of the Internet connection, and transferring images larger than 16 megapixels is not an option. You will have to create a Google account if you already don't have one in order to be able to successfully transfer photos and videos from your PC to an iPhone and you also must also install the Google Photos app on your iPhone. Place all the files you want to transfer into a folder and put it on your desktop in order to make sure that you don't have to spend time trying to locate the folder. Go to the Google Photos website and log in with your Gmail ID. In the upper right corner, you will be able to see the Upload button, click on it and then locate the folder in which the files you want to upload are located. It is advisable to create a zip file if you want to transfer a lot of pictures and videos at the same time. Select the files you want to upload and then click the Okay button. After you've successfully uploaded your pictures or videos to Google Photos, you should open the Google Photos app on your iPhone. Once you've launched the app, click on the Menu icon located in the upper left corner and choose the Collections feature. 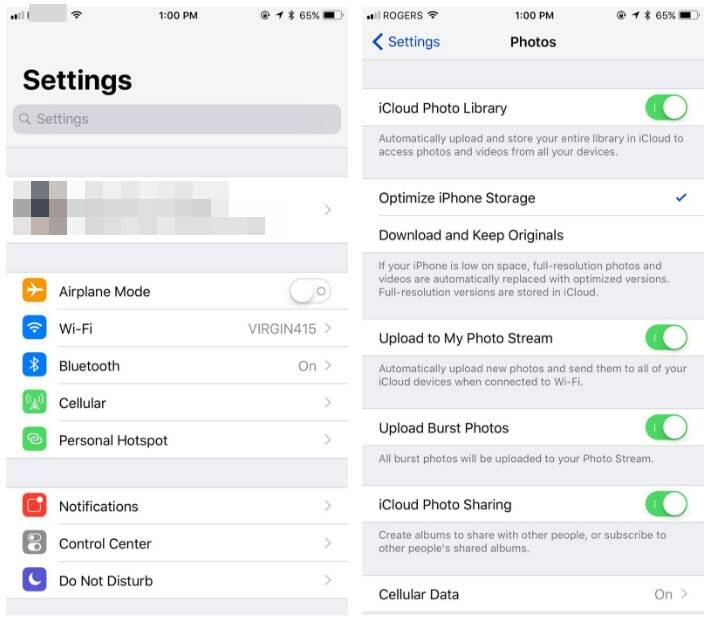 All of your photos and videos are located there in different albums, so you should just select the one you want to transfer to your iPhone. Tapping on the vertical ellipsis in the top right corner will open a new menu. You should be able to see Edit Title, Select and Delete options in the new menu, just tap on the Select option and once the new window appears tap on the Share button located next to the Add icon. This action will open yet another window that offers options such as Copy, Print or Save Images. 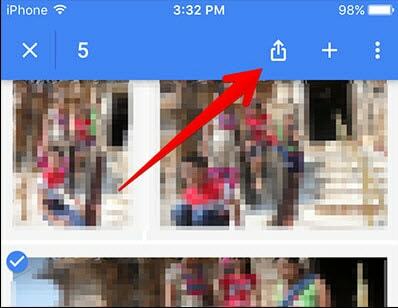 Tap on the Save Images icon and all photos will automatically be saved in the Google Photos app on your iPhone. Regardless of the method, we presented in this article you choose to use, you'll be able to transfer your photos and videos from a PC to an iPhone. Moving large amounts of data can take some time, so it is important to be patient because you might be forced to wait for a while until the transfer is complete. Let us know in the comments which of these methods for transferring photos and videos from a PC to an iPhone you find the most useful, and hit share if you want to tell your friends about these free methods of moving files from a computer to an iOS device.